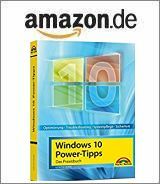 [German]Today a short tip: Microsoft provides the ‘Digital Rights Update Tool’ for Windows 10. This tool allows to remove DRM information from WMA files. Microsoft Windows Media Audio-Format (WMA) supports Digital Rights Protection (DRM). Many commercial available WMA files (downloaded or ripped from audio CDs) has a DRM protection. So it requires Windows Media Player (WMP) or another DRM capable player to play these WMA files. Also the Windows machine requires a valid DRM certificate. If somebody is moving to another machine, in DRM is affected. Also, WMP or Windows updates has caused serious DRM trouble. Some users are loosing the ability to play their bought WMA files. So, many users are switching over to the DRM free MP3 format. In the days of ‘Windows as a service’ for Windows 10, it seems that WMA DRM is obsolete. So Microsoft offers the free Digital Rights Update Tool within Windows Store for Windows 10 (PC version). The Digital Rights Update Tool removes the copy protection you added when ripping CDs to the .wma format from within Windows Media Player. Other forms of copy protection cannot be removed. The odd thing: Unfortunately this application isn’t available for older Windows versions. This entry was posted in Windows and tagged DRM, Tip, Windows 10, WMA. Bookmark the permalink.